I have fairly large photo scanning project in the works but unfortunately I am not making a whole lot of progress on it. It is a box of old photos that belonged to Viola and Edna Germann, “The Germann Collection.” Their parents were Stephen E. and Rosina (Schumm) Germann. Rosina’s parents were J. Frederick and Maria (Germann) Schumm. The other day I pulled out the box of Germann photos to sort through them and put them in some semblance of an order. I was very happy to see that about half the photos are labeled. This photo with two brides caught my eye. A double wedding! 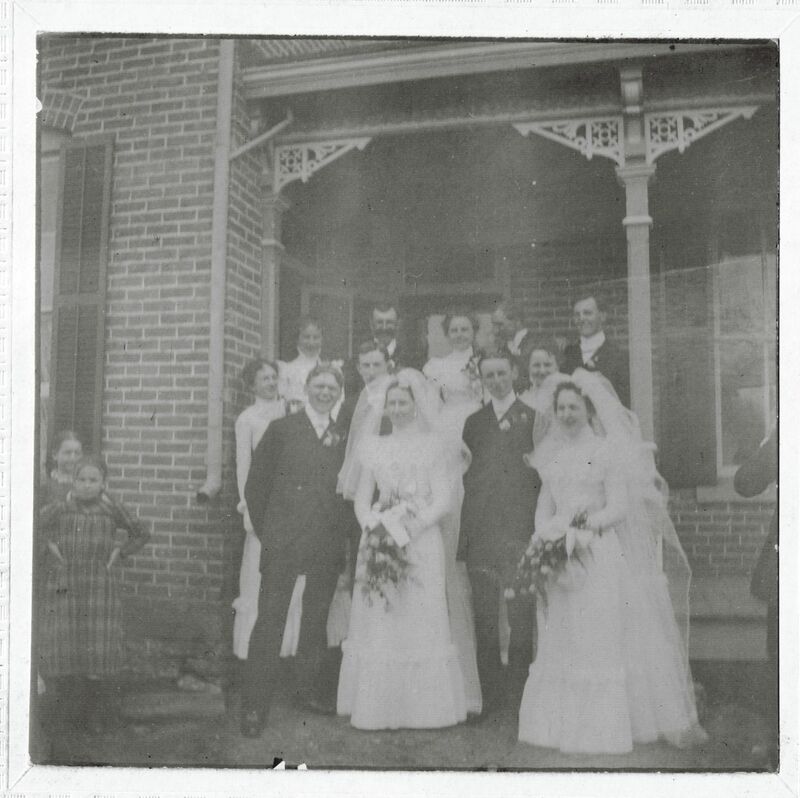 Wedding of Juliana and Pauline Roehm, 6 May 1900, Schumm, Van Wert County, Ohio. Left to right: William Franke & Juliana Roehm; Fred Acker & Pauline Roehm. Written on the back of the photo: Roehm Sister’s Wedding. Mother’s Cousins. It didn’t take too long to identify the two brides and grooms in the photo. The brides were Juliana and Pauline Roehm, daughters of John and Rosina (Schumm) Roehm. 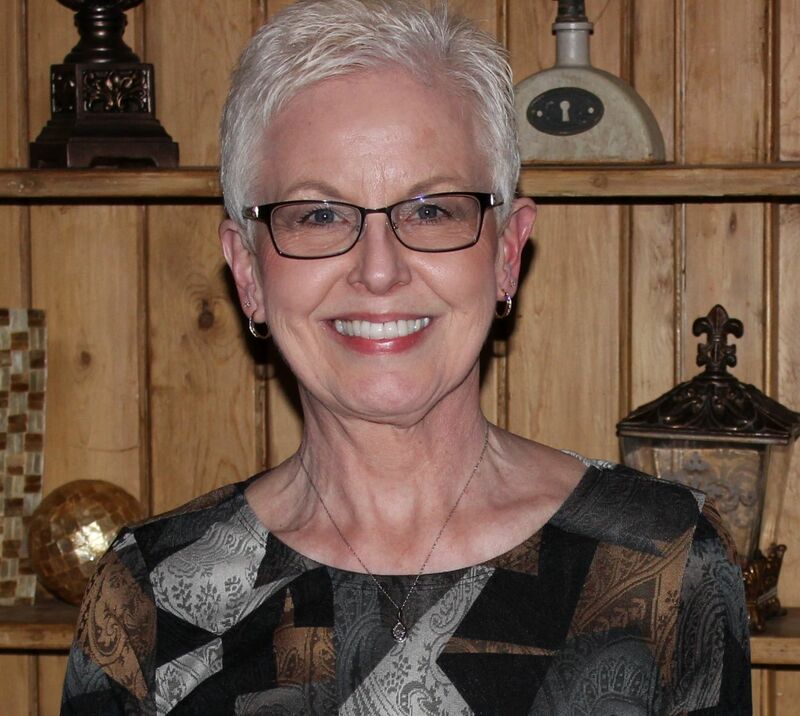 Rosina (Schumm) Roehm was a sister to J. Frederick Schumm. 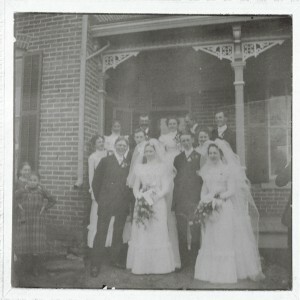 The two couples were married on 6 May 1900 by Rev. G.F. Seemeyer at Zion Lutheran, Schumm, and both weddings are recorded in their records. Wilhelm C. Franke, a teacher from Delano, Pennsylvania, married Juliana Roehm, of Zion’s parish, on 6 May 1900 at the church. Friedrich J. Acker, of Seymour, Indiana, married Pauline Roehm, also of Zion’s parish, on the same day at the church. This photo was likely taken at the Roehm home after the double wedding and is probably a photo of the entire wedding party. I will post more photos from the Germann collection in the future. That picture looks like it might be on the porch of Tim and Vicki Bollenbacher’s home on Route 33 just west of Rockford and Township Line Road. What do you think? I wonder. I do not know the house history of their house nor where the Roehms lived. It would sure be interesting to know. I did locate the John Roehm family in 1900 and they lived between Willshire and Schumm, not far from where my grandpa Schumm lived on Willshire Eastern Road, about a mile east of the 81 intersection. They may have lived on 81. For some reason, I always thought Tim’s house was a Schumm house. I know one of the Schumm ladies lives next door. Maybe it was a house that belonged to the Roslina Schumm relative. Who know. Maybe I can check with Tim at some point. Hi, I am a descendent of the minister who married these two couples: GF Seemeyer or Gottlieb Frederich Seemeyer, who was a minister at Zion Lutheran for awhile. I would love to discuss any information about GF and the Seemeyers, several of whom were born at Schumm and went to Ft Wayne. My mother, daughter of Theodore Seemeyer, was his daughter. Great to hear from you. I will e-mail you privately to discuss your questions. Thanks for writing.